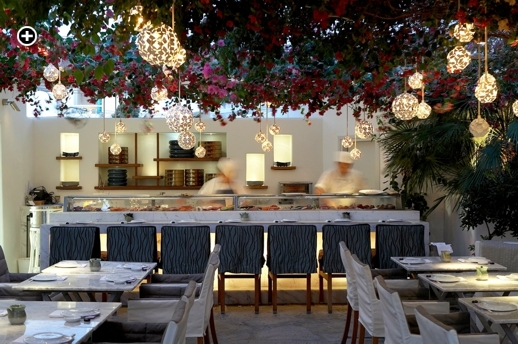 The acclaimed Nobu Matsuhisa Mykonos restaurant at the Belvedere Hotel (seen in this photo from the Belvedere’s Facebook page) has been celebrating its 10th anniversary this week. Click on the picture to view a full-size image. Table talk: One of the most popular vacation destinations in Greece, Mykonos is renowned for beautiful beaches and dynamic summer nightlife. But even though the island boasts more than two dozen major beaches, plus scores of bars and nightclubs, choosing where to swim and party will be probably be a much easier task for visitors than deciding where to dine each day. With over 200 restaurants ranging from takeout gyros and souvlaki shops to traditional Greek tavernas and high-end gourmet establishments offering a variety of international cuisines, Mykonos is a veritable gastronomic paradise. But with such a vast and diverse array of eateries, many tourists understandably feel daunted by the daily dining dilemma — where to go for breakfast, lunch and dinner? In a series of posts over the next couple of weeks, I will tell you about the Mykonos restaurants and bars that have been getting the best buzz this summer. I have been monitoring social media and online travel sites since early spring, and have been gathering feedback from friends and acquaintances on the island as well as people who have travelled there this summer. I also chatted about restaurants with dozens of visitors and locals during my own visit to Mykonos in mid-May. 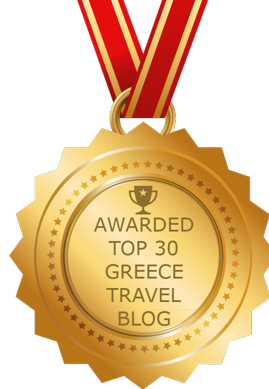 To kick off my Mykonos food and drink 2013 reports, here’s a list of the dining places in and close to Mykonos Town that people have been talking about the most. I will report on popular bars and the hottest beach area restaurants in separate, subsequent posts.